E. W. Hornung's unpublished diary. Libraries are always so interesting: a man's bookcase is something more interesting than the man himself, sometimes the one existing portrait of his mind. 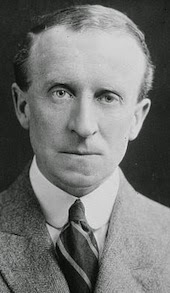 In English Literature in Transition, Edmund G. C. King (Open Univ) discusses the reading experience of British and Scottish soldiers in WWI, with particular attention to the wartime activities of E.W. Hornung (creator of Raffles, gentleman thief). "When I was up the line," said one of my friends, bubbling over with a compliment, "a chap said to me, 'You know that old—that—that elderly man who runs the Rest Hut? 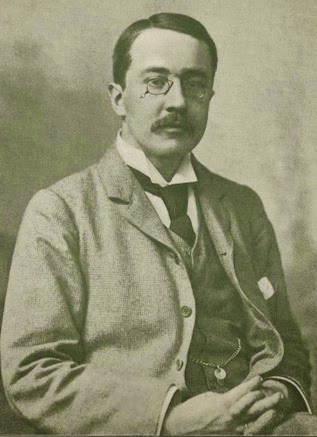 He's the author of Raffles.'" Adds Hornung in mock outrage, "Elderly! One would as lief be labelled Virtuous or Discreet" (Notes 144–45). Hornung died of pneumonia in 1921 at 54, hardly an advanced age. King relates that Hornung kept a diary between December 1917 and March 1918 that took the format of letters to his wife. He drew on this diary to write Notes, but King indicates that the diary reveals more about Hornung's reasons for war service than Notes does. 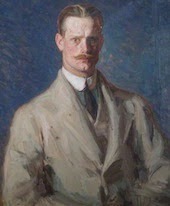 Hornung's friend Shane Chichester preserved a typescript of the diary, which is now in the University of Birmingham's Cadbury Research Library along with other papers. King also provides a heart-warming glimpse of Hornung at work via the World War I memoir of Carlos Paton Blacker, Oscar's Eton classmate who became a noted psychiatrist. King's article follows "The A. J. Raffles Stories Reconsidered: Fall of the Gentleman Ideal" by Jeremy Larance from the first 2014 issue of English Literature in Transition. 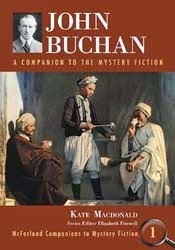 War, Buchan, and The Thirty-Nine Steps. As part of BBC Radio 3's programming on the centenary of World War I, the program Free Thinking convenes John Buchan's biographer Andrew Lownie and Buchan companion author Kate Macdonald to talk about the place of his war experience in The Thirty-Nine Steps and the popularity of the novel with servicemen. She left us in 2012, but her work lives on. Grand Master Dorothy Gilman was born today in 1923 in New Brunswick, NJ—just like her most famous creation, senior-citizen secret agent Mrs. Pollifax. Here is a behind-the-scenes look at the making of Mrs. Pollifax-Spy with Rosalind Russell. Woolrich's "Post Mortem" (May 1949). In this 1949 episode of Suspense based on Cornell Woolrich's "Post Mortem" (Black Mask, Apr. 1940) and directed by Robert Stevens (Alfred Hitchcock Presents, Twilight Zone), a woman marries a doctor who has a disturbing track record when it comes to life insurance. O'Donnell's Modesty Blaise, BBC Radio 4 Extra. 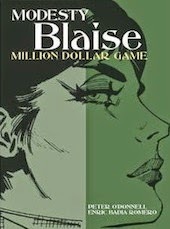 Peter O'Donnell's Modesty Blaise and Willie Garvin try to thwart a diamond robbery in this episode kicking off series 2 of BBC Radio 4 Extra's Modesty Blaise. 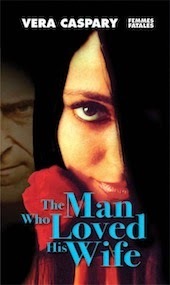 Somehow I missed the new entry in the Feminist Press series Femmes Fatales: Vera Caspary's The Man Who Loved His Wife (1966), which features a man who may have ulterior motives when it comes to his much younger wife. This novel, called a trompe l'oeil by Kirkus in its original release, follows FP's reissues of Caspary's Laura and Bedelia. 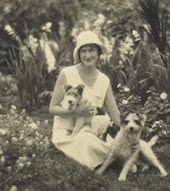 Author, Pulitzer Prize-winning playwright, and Provincetown Players cofounder Susan Glaspell (1876–1948) wrote the play Trifles —with women as far more observant of what has happened in a farmhouse than the male law enforcement officials—after covering the John Hossack murder case for the Des Moines Daily News in 1900. Trifles was first produced in 1916. 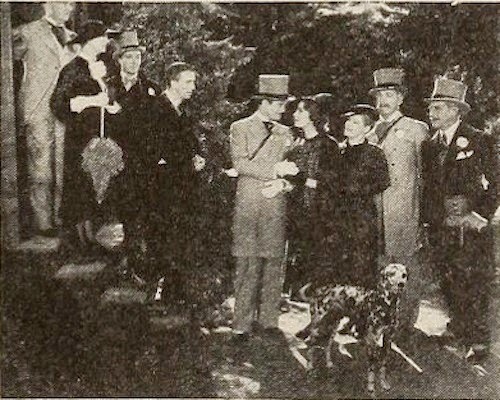 Glaspell then adapted it as the celebrated short story "A Jury of Her Peers" (1917). Pamela Gaye Walker directed the 2009 short film of Trifles. Sally Heckel made an Oscar-nominated version of "A Jury of Her Peers" in 1980, following the version on Alfred Hitchcock Presents in 1961. Today on BBC Radio 4 Extra's program The First Private Eye, Val McDermid talks about Allan Pinkerton, the groundbreaking private detective who thwarted a plot against Abraham Lincoln (as Daniel Stashower makes clear in the Edgar-winning The Hour of Peril). 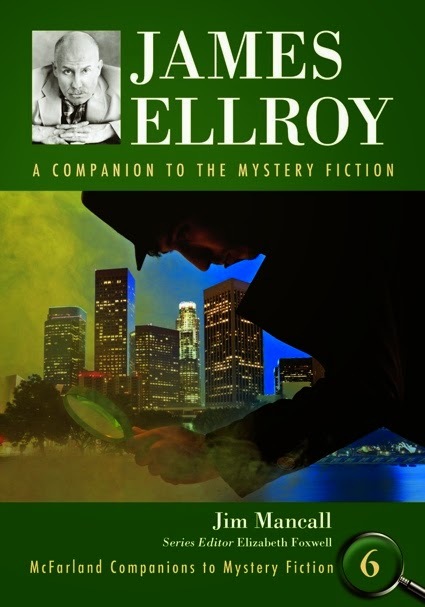 The latest review for James Ellroy: A Companion to the Mystery Fiction appears in Mystery Scene (no. 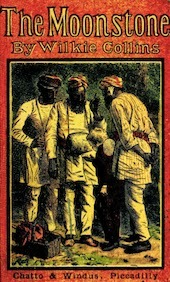 134), written by Jon L. Breen: "an ideal subject for the consistently excellent McFarland Companions series." Why not celebrate Dorothy L. Sayers's birthday coming up on Friday by checking out the 1949 Suspense episode "Suspicion," based on the Sayers short story of the same name? Disregard the ID of Charlton Heston in this YouTube selection; there were two versions of "Suspicion" for Suspense, and this one is the Mar. 1949 version (Heston was in the Nov. 1949 version). The Art Detective Web site seeks to connect UK public art collections, the public, and experts, providing a nexus of discussion about art and supplying missing information about artwork. 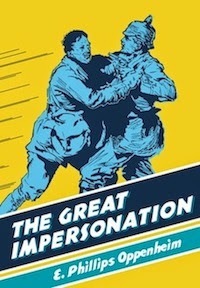 New paperback editions of spy fiction and thriller pioneer E. Phillips Oppenheim's The Great Impersonation (1920) and The Spy Paramount (1935). Both are out in September, distrib. for the British Library. Consistent with the press' reprinting of the Richard Stark novels of the late Donald Westlake is a new volume, The Getaway Car: Donald Westlake Nonfiction Miscellany (introd. Lawrence Block, out in September). This book includes interviews, lively pieces from an unpublished autobiography, and tributes to fellow writers. In this February 1956 episode of Four Star Playhouse based on Cornell Woolrich's "Eyes That Watch You," Ida Lupino has some dark plans in store for her husband—but are she and her accomplice the only ones who know? Playing her brother is Richard Lupino (a cousin to Ida Lupino and Buster Keaton). Under "the Gothic" are features on "The Victorian Supernatural," "An Introduction to The Woman in White," and Robert Louis Stevenson's The Strange Case of Dr. Jekyll and Mr. Hyde. Under "The Imperial Gothic" are works by H. Rider Haggard and Richard Marsh, as well as Wilkie Collins's The Moonstone. Under "Crime and Crime Fiction" are "Crime in Oliver Twist," "Crime in Great Expectations," and "Juvenile Crime in the 19th Century." Also featured (by Judith Flanders, author of The Invention of Murder: How the Victorians Revelled in Death and Detection and Created Modern Crime that I reviewed) are "The Creation of the Police and the Rise of Detective Fiction" "Jack the Ripper," "Murder as Entertainment," and "Penny Dreadfuls" (including The Boy Detective, 1865). 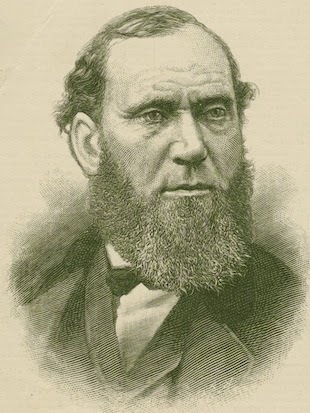 Note that the attribution for Revelations of a Lady Detective (1864) is incorrect; it is not by the pseudonymous Andrew Forrester (James Redding Ware), but rather William Stephens Hayward. Update. The BL has corrected the attribution for Revelations of a Lady Detective. Coming from U-Chicago Press: Oppenheim, Westlake.